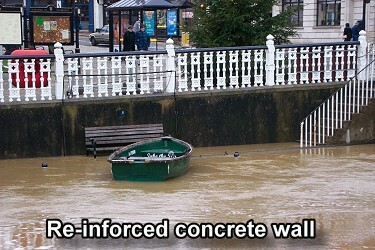 A flood is water which covers land that is normally dry. 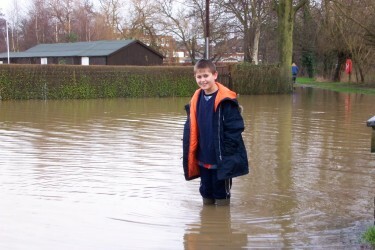 Floods are caused by extreme weather conditions. volcanic eruptions under the sea causing a huge wave, called a tsuanami. 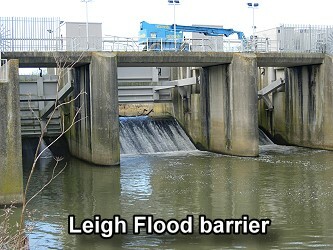 River flooding occurs when there is too much water for the ground to absorb, through infiltration, and the surface run-off overflows the normal river channel. 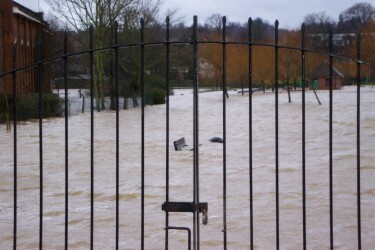 A flood plain is the flat land on either side of a river that becomes flooded when a river spills from its channel. 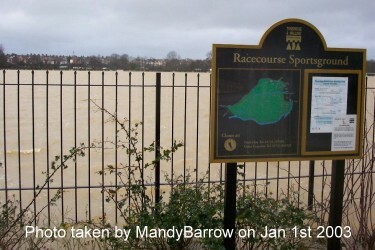 The photographs below show Tonbridge Sportsground at the start of the year 2003. 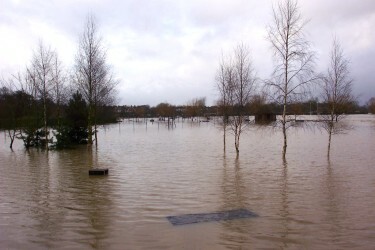 The sportsground was submerged under more than three feet of water following 24 hours of downpours which left the area resembling a lake. 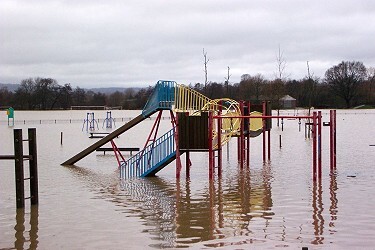 We wont be flying our kites here today or playing football. Can you see the park bench and the bin beside it? Any one for a picnic? The top of this picnic table is covered. including the children's play area. But it didn't stop the children having fun!